Home Health Care What Would You Use The Weil-Felix Test For? What Would You Use The Weil-Felix Test For? : Lots of different pathological tests are available today to detect the presence of pathogens in the body. One among them, the Weil Felix test is used to detect typhus and some special infections spread by rickettsia. It is a bacteria that is transmitted by lice, fleas and ticks. It is one of the most disease-causing bacteria in human beings. The rickettsial diseases are actually a set of different diseases like African tick bite fever, rickettsialpox, typhus, Australian Tick Typhus, Q fever, Queensland tick typhus, Boutonneuse fever, Flinders Island spotted fever, southern tick-associated rash illness, tularemia, ehrlichiosis, ehrlichiosis and Rocky Mountain Spotted Fever. The test and treatment depend very much upon the severity of the infection and its nature. 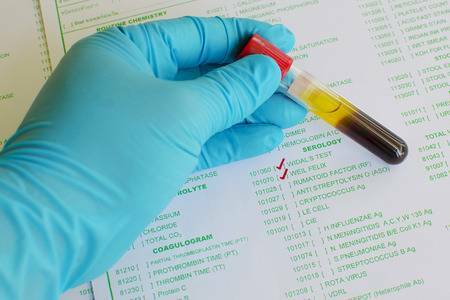 What is the Weil-Felix test? The Weil-Felix is an agglutination test which is used for the diagnosis of rickettsia. This test has been very popular and has been used the most to detect infections. The test is based on the basis that the anti-rickettsial antibodies can be found in the serum of the patient. The results of the test can be expected in about 24 to 36 hours. The anti ccp test also does something of a similar kind. These tests look for autoantibodies which are produced by the immune system that targets the body’s own tissues. Why does the test become necessary? The Weil Felix test is used to examine the presence of rickettsia and the concerning diseases without specifying the particular species. If people are suffering from symptoms like nausea, muscle pains, a loss of appetite, back aches, headache, fever and wellings behind the ears, it would be a good idea to take the Weil-Felix test. The later symptoms and signs might also include petechial rashes, abdominal pain, skin lesions, joint pain, maculopapular rash among others. The bilirubin test can be used to determine the levels of bilirubin in the body. Excess amounts of the pigment might cause the skin to become yellowish and the condition is known as jaundice. What would be required for the test? The test does not require fasting or other preparations. The serum is collected, which is a simple blood sample. The sample is collected from the veins in the arm. What is meant by the test results? If the titre value is greater than the ratio of 1:320, the test is considered to be positive. The result is actually interpreted with respect to the most dilute tube in the series that is yielding positive results. The results of the Weil Felix test would be depending on the agglutination reactions which are occurring based on antigens that are common to both organisms. The reaction would validate the presence of the rickettsial infections and the type. What would the Weil Felix test be based on? It is necessary to have an idea about the basis on which the test is to be conducted. An antigenic cross reaction activity takes place between the few serotypes of non-motile Proteus spp and Rickettsia spp and this is the test principle of the Weil-Felix reaction. The serum sample of the patient is screened for the Weil Felix reaction. The cross-reaction between the OX antigens Proteus species and the antigens produced in acute rickettsial infections would form the basis of the Weil Felix interpretation. What to expect after the test results? The test is actually an initial screening for rickettsia. The test would not provide any concluding evidence and other tests might be required. ELISA or immunofluorescence are some of the tests that are provided by the doctor. The Weil-Felix test offers good insights into the presence of the rickettsia bacteria in the body.